Dr. Heard is a Board-Certified Orthopedic Surgeon at Baker, Heard, Osteen, and Davenport, MD, PA with a satellite office at Dr. P. Phillips Hospital. He graduated from the Medical College of Georgia with a MD degree. After two years of general surgery residency he completed four years of orthopedic surgery residency at the University of Texas Medical Center in Houston, Texas. He completed a fellowship in spinal disorders at the Robert Jones & Agnes Hunt Orthopedic Hospital in Oswestry, England before starting practice in Orlando in 1983. Dr. Heard was Co-Chairman of the Medical Committee of Orlando Citrus Spirits from 1983 until 2003 including the 1996 Olympic Soccer Games in Orlando. He also served for 25 years as the team physician for Edgewater High School. Dr. Heard served as Chief of the Leadership committee for Dr. Phillips Hospital from 2007–2013. 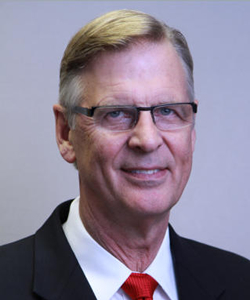 He is president of Central Florida Orthopedic IPA, and is on the board of Central Florida Medical Associates and the Southwest Foundation Board for Orlando Health. He has been selected as one of the best doctors in Orlando by his peers as seen in the Orlando Magazine every year since 2002. Dr. Heard practices general orthopedic surgery with an emphasis on adult reconstructive surgery, including joint replacement surgery.